(2017-12-18, 16:10)Philippe Hurbain Wrote: Wow! Congratulations, Willy! 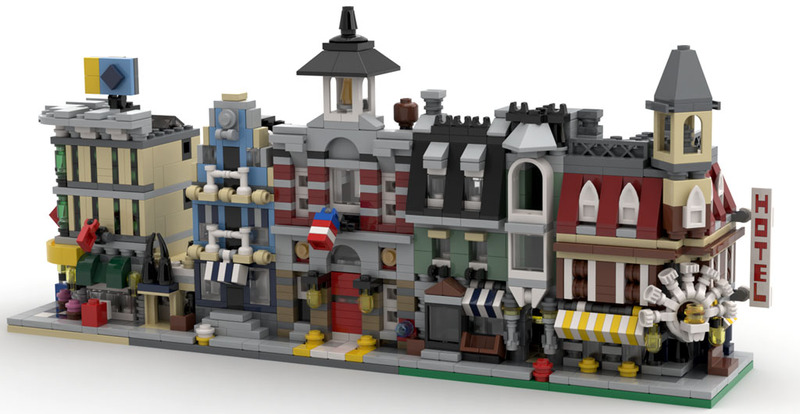 (2017-12-18, 15:37)Willy Tschager Wrote: Topic for the Modular Buildings theme. (2019-04-15, 15:28)Willy Tschager Wrote: An impressive list of parts you have to author. I've been working on the parts for 10246 - Detective's Office for quite a while and have still a few torsi to do. Furthermore I just realized I have used a few unofficial files too. If not, I can replace all missing parts that are on the tracker in my model. Import please the unofficial files to to the mpd. File is also not OMR compliant.